﻿ Who Else Wants To Learn The Closely-Guarded Trading Secrets Of An Investment Banking Veteran No Other Trader Will Ever Tell You? Who Else Wants To Learn The Closely-Guarded Trading Secrets Of An Investment Banking Veteran No Other Trader Will Ever Tell You? From: Alberto Pau & Max Hanson, 09:53 AM. There is an amazing new report called "50 Red-Hot Forex Trading Secrets." It covers all the secrets I learned after managing over 1 billion dollars and trading for more than 8 years with some of the best and brightest forex professional traders in the world. Imagine being able to absorb in just a few pages all the trading techniques that it took tens of years for the most successful traders to acquire. Wouldn't that be great? 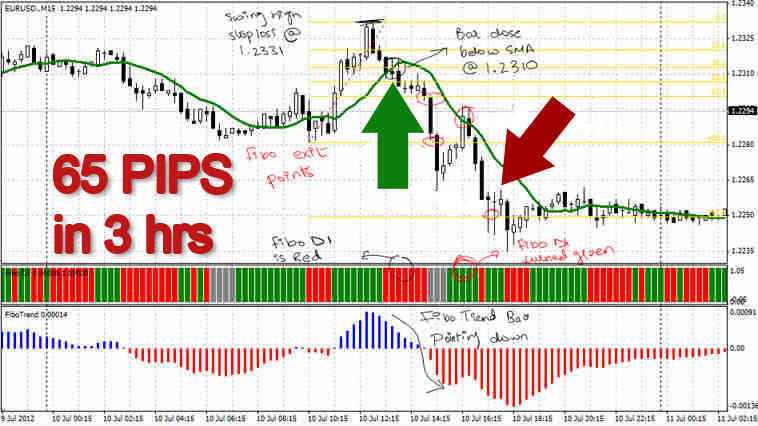 Or what if you could make a full time income trading forex whenever you want, wherever you want. How would you feel if you could do this? Don't have enough time to trade during the day? Your trading style involves intermittent hours? These secrets will show you the tricks used by the pros to make the max profit in the shortest amount of time possible. Are you getting overwhelmed by fear, greed and impatience? Are your emotions stopping you from following your trading plan? This e-book contains the best tips that you will ever find to take FULL control of your way of trading. Having difficulties catching the trend on the right path? Does your total trade count show more negative trades that winning one? Stabilize your trading style with these secret trading tips. Do you find yourself missing a reliable system that can assist you on entering and exiting your trades? This e-book will show you how to build your own, perfectly adjusted, high profitability trading system. Are you always out of time for your Forex trading? Do you always find yourself trading on high risk and always lacking capital to sustain your trades? The tricks in this e-book will show you how to follow a solid money-management that will lower your risk even if you trade a few minutes a day! Imagine cashing in the pips day in and day out and living the life YOU want. How would that feel if you could do this? That's what this brand new report can help you to do. And It's Not Like Any Other E-book You've Ever Read On Trading Like A "Pro". Simply, every question in the book is there because "you asked for it." Well, not "you" really. But from real live questions students and colleagues asked me over the last 8 years. Questions from people who want and need to make a living out of forex trading. I kept a simple pad on the side, and every time someone like you asked me a question I would write it down. Which means no fluff. Just the real answers and insider secrets you want to know. You'll discover all types of exciting and profitable tips. Here's a sneak peek at what you'll discover in "50 Red-Hot Forex Trading Secrets." How to manage your emotions as you trade and make it fun! And that's just a fraction of what you'll find out in "50 Red-Hot Forex Trading Secrets." That's why you should own this book today (in fact, you can be reading in the 11 pages in as little as 5 minutes from now!). To have someone do all this research for you and teach it would normally cost you around $10,000 (I should know, that's what it cost me!). Particularly laser-guided accurate information like this - SPECIFICALLY for the insider trading secrets of a trader at one of the largest forex banks. This isn't some boiler-plate collection of answers. Which is why "50 Red-Hot Forex Trading Secrets" is such a bargain at just $7. This is an electronic book (e-book) that can be downloaded to your computer in a flash. Which means you can be reading it and discovering all these amazing secrets in as little as 5 minutes from now. So I figure I'll be able to offer this fantastic resource of information (which if you follow the tips contained in its pages could really give you some amazing benefits) to more people. And make my investment back over time. No matter what however, it's a bargain for you. And yes, I plan on raising the price from $7 to at least double that very soon. Once I get a few more testimonials from satisfied customers, the price will increase. So you'll want to be quick if you want to save some money. $7 is a drop in the ocean compared to what you learn with these secrets. Hey, you're my customer. And if you're not happy, it looks bad on me. So if you're not happy with what you discover from "50 Red-Hot Forex Trading Secrets" I don't expect ... or want ... to keep your money. Just simply whip off an email to me and I'll happily refund your money in full (in fact, I'd be embarrassed to keep it). "Simple and straightforward this report is a must read. Secret #30 will save you a lot of money. You can't afford to place a single trade without knowing these 50 red-hot secrets!" As they say, the proof is in the pudding. And these people are supper happy. Just like you'll be. For a mere $7, you're getting the answers you need... Now, you can only get this product from me. This 11-page ebook is not available in libraries or anywhere else on the net. Just imagine being able to get these answers downloaded to you right away. No representation is being made that any account will or is likely to achieve profits or losses similar to those shown. In fact, there are frequently sharp differences between hypothetical performance results and the actual results subsequently achieved by any particular trading program. Hypothetical trading does not involve financial risk, and no hypothetical trading record can completely account for the impact of financial risk in actual trading. All information on this website or any product purchased from this website is for educational purposes only and is not intended to provide financial advice. Any statements about profits or income, expressed or implied, does not represent a guarantee. Your actual trading may result in losses as no trading system is guaranteed. You accept full responsibilities for your actions, trades, profit or loss, and agree to hold 50ForexTradingSecrets.com and any authorized distributors of this information harmless in any and all ways.